We always see TV commercials advertising extravagant cruise ships that feature indoor bowling alleys, casinos, movie theaters, etc. But did you know those are not the only types of cruises you can travel on? Sometimes, the loud, family-oriented trips aren't exactly the most soothing for couples traveling without children. River cruising with Avalon Waterways means embarking on an experience that combines relaxation with tourism, adventure, education and much more! With rooms that average a size of 200 square feet, each lodging area features a wall-to-wall window that displays the stunning outdoor scenery. Beyond the exquisite views, there are countless reasons why river cruising is certainly a must for adult couples. Size matters: Depending on the type of ship, the number of passengers on board ranges from 36 to 166 people. Many of the mainstream cruise companies hold about 2,000 guests on their vessels, which sounds crowded, to say the least. River cruises on the other hand, allow for more comfort, shorter lines when embarking/disembarking and less noise flurrying throughout the ship. Smaller size ships also mean that the staff-to-guest ratio is greater, so all your personalized needs will be easily accommodated. Different destinations: Because of their size, the ships of Avalon Waterways can navigate through narrower rivers and canals that the mainstream cruise ships are too large to fit through. The slender size of the ships allow for a wide variety of destination offerings that would otherwise be too small for mainstream cruise ships to fit through. That being said, when other companies force their guests to disembark and ride buses through bumpy roads to reach an excursion, Avalon Waterways provides its guests with the opportunity to enjoy breathtaking views without even leaving their room! 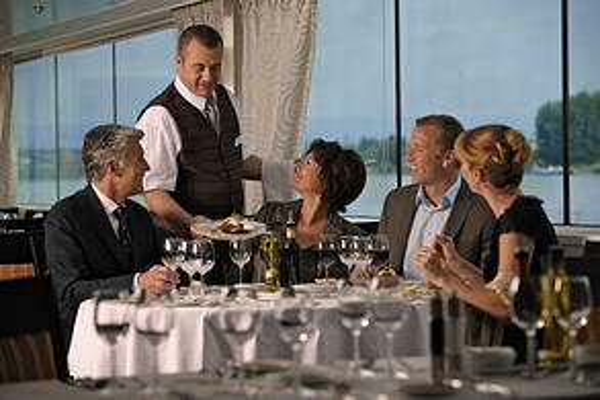 Drink up: Once you embark on an Avalon Waterways cruise, you won't need to pay for any service or meal. Even wine and beer are included with all lunches and dinners. 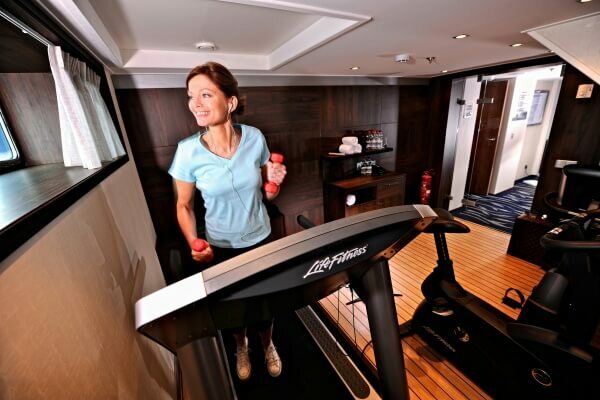 Luxurious amenities: Each ship also features a sun deck, fitness center, and outdoor pool. 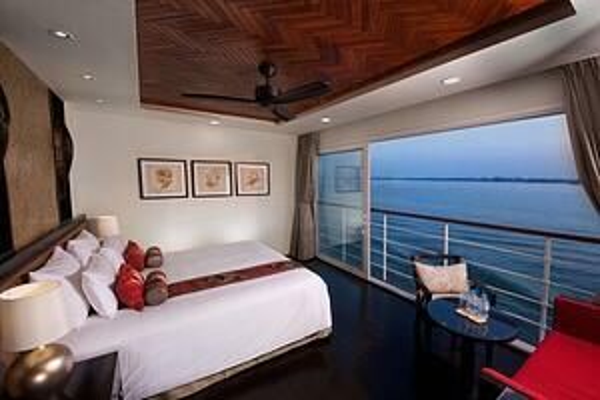 To sum it all up: What are the advantages of river cruising? Residing in a comfortable room, enjoying breathtaking views from your bed, waiting on shorter lines, navigating through narrower bodies of water than other cruise companies do, eating with an all-inclusive meal plan, and more! One more important detail: Gil Travel constantly offers special deals with these programs, that include all tips and gratuities in the pricing, waive the Single Supplement, or even award money towards Air Credit.